I had the honor of seeing a small portion of the Foster Youth Museum in April 2015 at the Fairness and Equity Symposium in Oakland, CA. The conference, sponsored by the California Social Work Education Center (CalSWEC), featured the Homeless exhibition that took guests through the foster youths’ experiences in systems of care and homelessness. At the end of the exhibit, there was an opportunity to take a pair of new socks, dubbed “Freshies,” in a homemade wrapper to give to a homeless youth. I thought that this might be the coolest souvenir I have ever gotten from a museum! It’s almost embarrassing to think of how trite that is in retrospect…but by my office at 5th and Broadway in Oakland, there are a number of people “spangin'”– asking for spare change, as I learned in the exhibit–every day and on nearly every corner. And come to think of it, many of them look pretty young…I took three and within the next 36 hours, they all had new owners.I have always struggled with giving money to people asking for spare change. I have never been able to give without feeling entitled to tell people how they can spend it so I say “Sorry, not today” and that’s it. But when I was asked for spare change and I offered, “Would you like a fresh pair of socks?” the response caught me off guard. I suppose I expected a casual, if not flip, “Sure”, kinda like when someone gives you new underwear as a present at Christmas. Certainly, a useful gift that one wouldn’t turn down, but not exciting. What I heard was “REALLY? !”…”Oh my God, YES!”…I can only imagine that they didn’t think I actually had them on me. So when from the depths of my purse, I produced a pair of “freshies,” each and every one cupped them in their hands and held them to their heart. All of them used the word “amazing” in their expressions of gratitude. It was moving how much they appreciated them. I just had no idea. With each “freshie,” I just wanted people to know that someone who doesn’t know them cares about them all the same. And if each “freshie” sends that message, well that’s a donation I can most certainly give freely. To support bringing Foster Youth Museum to more communities, we welcome your donation. 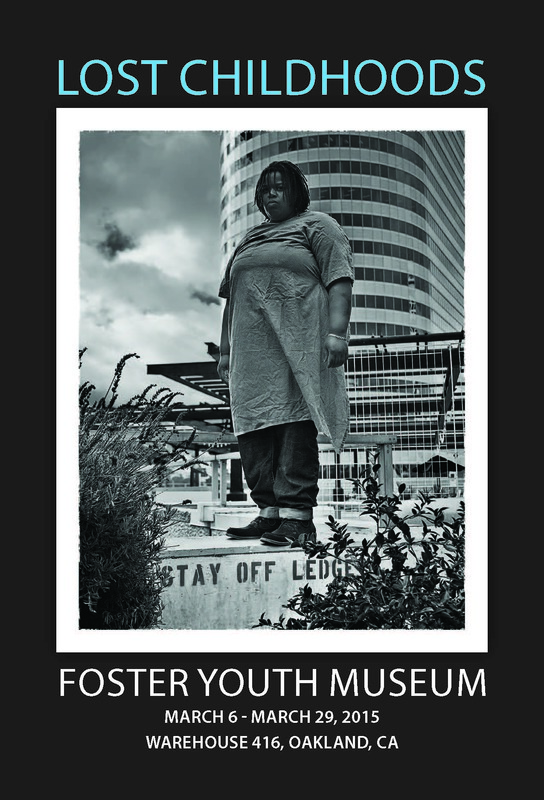 February 19, 2015 – Oakland, CA – Foster Youth Museum presents a groundbreaking exhibit about youth experiences in foster care. Through photos, donated objects, video portraits, and foster youth art, Lost Childhoods tells the story of loss and powerlessness – and the human capacity for resilience and connection. Our friends at Braid Mission recently visited the Museum of Lost Childhoods to better understand the experiences of youth in foster care. One photo in particular stirred this spiritual community to action: A photo of youth spending Christmas Day in her group home. See what the Braid Mission did next.